One of the keys to understanding the love of God is to rightly know that LOVE is all about God. We have a hard time accepting His love because we know that we are unlovable. And we have a hard time loving Him, because we are often unloving. It’s not our nature to love unconditionally, or to accept unconditional love. It’s not even in our nature to love and be loved continually with any real consistency. Whenever we think that love is about us, we are easily confused. This is because love is about God! God doesn’t love us because we’re lovable – most of the time – we are not. 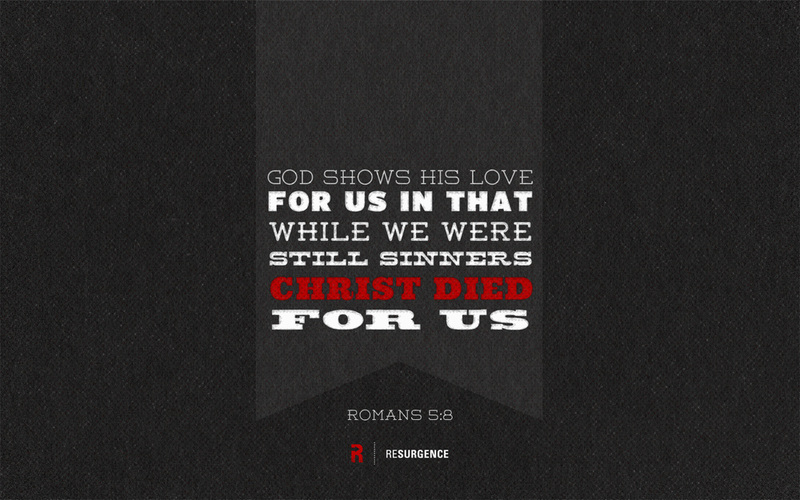 He loves us because HE IS LOVE! Love is His nature. There is nothing unlovable about Him. Whether God is on the giving or receiving end of love, the source of that love is Him. It’s His nature to give it, and it’s His nature to receive it. We actually have the easy end of the deal - we are the recipients. This is called grace and it is amazing! GRACE can be defined as unconditional acceptance granted to an undeserving person by an unobligated giver! Is the love of God lost on you? Are you one of the many who find this hard to believe or dismiss it as too good to be true? This is probably because you are equating love to the human standard of love that is an imperfect imitation. The love of God is completely perfect and absolutely “other” than anything we know. This is because God is completely “other” and absolutely separate than us. God is love – we are not, so to know this love is to know God. The burden of love is not on your shoulders, either in giving and/or receiving. It’s All About God! When you find it difficult to accept God amazing grace and unconditional love, meditate on His loving nature that was perfectly displayed in the person and work of Jesus Christ, not whether you are worthy of it. Consider how Someone who defines Himself as “Love” could think of you in any other way – regardless of what you’ve done. And when you find it difficult to love God with the type of worship and adoration He expects, meditate on His worthiness, not your ability to love in return. Love isn’t mustered up; it’s completely absorbed in its object. Let Jesus occupy your thoughts, and love will flourish. When it’s all about Jesus, it always does.